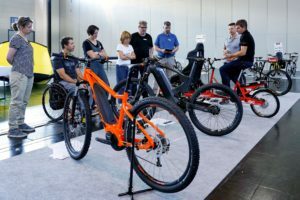 RENO/NV, USA – For the 2018 edition, Emerald Expositions moved the U.S bicycle show Interbike from Las Vegas to Reno and introduced a new show concept. 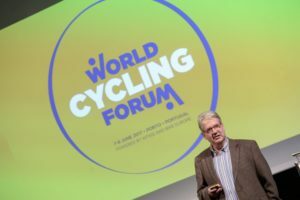 The first edition of this Interbike Marketweek 2018, which took place from 15-20 September, attracted less visitors and less exhibitors. Taking a show from one location to another alone wouldn’t solve the problems of the U.S. bicycle industry. The new show director Justin Gottlieb and his team put in a lot of effort to develop a different show experience. Named ‘Interbike Marketweek’ they organized an industry get-together with a consumer event in nearby Lake Tahoe Northstar Resort from 14-16 September that turned into the traditional Outdoor Demo Days for retailers-only on 16-17 September and finally to the trade show Interbike at Sparks Convention Center in Reno from 18-20 September. 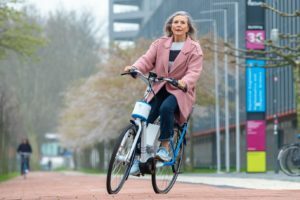 What became obviously clear is that e-bikes are on the rise. The long-awaited take-off is expected to breathe new life into the stagnating U.S. market. 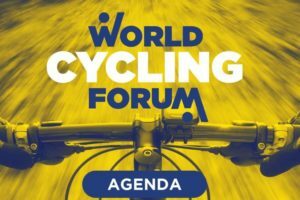 Together with Trump’s tariffs, this was the most discussed topic at Interbike 2018. 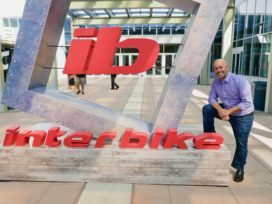 Interbike Marketweek started with a two days consumer event. While this first-time event didn’t attract too many consumers the two days OutDoor Demo attracted more IBDs than expected. They praised the location and especially the challenging trails through the woods at Northstar Resort. “The demo environment was good. There has been strong traffic but less bikes we had hoped for,” states show director Justin Gottlieb. The limited number of demo bikes had its roots in the exhibitor’s little expectations. 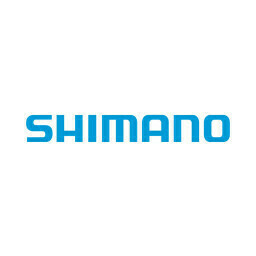 However, it was soon obvious that for the first time U.S. retailers showed greater interest in e-MTB category which is already booming in Europe. For sure there are less exhibitors, but as Gottlieb called it “There are still great brands here for the IBD market.” At the time of writing the exact visitor numbers haven’t been made available but Gottlieb estimated that retail attendance dropped by 20 to 25 percent compared with last year. “The store count is even which means they sent less people,” concluded Gottlieb. Clearly the exhibitors without any e-bike products were not as happy as the ones with e-bike products. While the overall market is flat, nearly all U.S. bicycle brands at Interbike showed up with at least one e-MTB while the list of upcoming e-bike brands is also on the rise. Canadian iGo Electric Bicycles even showed e-bikes only and the German buyers group ZEG, represented by Bull Bikes USA, presented no less than 35 models. 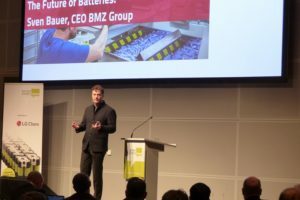 Also the European e-bike drivetrain suppliers Brose and Fazua were celebrating their Interbike debut. 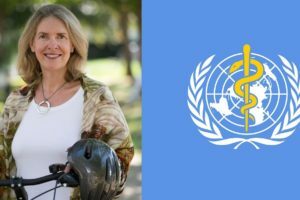 The positive mood towards e-bikes shows that the U.S. is finally getting ready for this category after a long period of discussions on regulations and personal scepticisms.